Two storey fully self-contained 3/4 BR Townhouse. Upstairs comprises: Master BR with ensuite and private balcony. Open plan living room, fully equipped kitchen (includes DW) with a large dining table to seat 12-14. The upstairs living room opens to a large deck area complete with BBQ, on natural gas,concrete/fibre glass outdoor setting seats 8, umbrella. Upstairs living room has a Plasma screen tv,Platinum Foxtel, Dvd, while downstairs there is a TV with Dvd. Downstairs comprises: two bedrooms. The couple suite has a queen size bed; the family room has a double bed with single bunk and trundle bed. The rumpus room, which doubles as a bedroom for additional guests, has two double size futon bed/couches. There is also a spacious bathroom and fully equipped laundry. 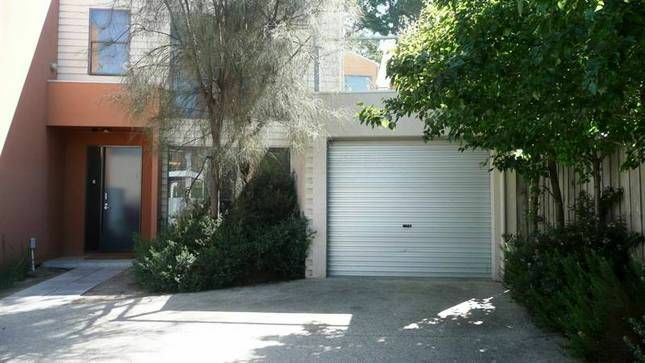 Lock-up garage and fully enclosed rear yard. The Townhouse is stylishly furnished and decorated. Situated in a prime location only 150m from the Surf Beach, Front Beach and "Cosy Corner" there is a beach to suit every age group. Nearby parks also appeal to the kids! Cafes, restaurants, boutique shops and the Torquay Hotel are just around the corner and provide the perfect way to relax and enjoy your holiday. Great House, Great Location, Great Owners! I recently stayed 5 nights here with 7 of my friends for a week to get away after finishing year 12. The house was everything we needed it to be, a 2 minute walk from both surf beach and swim beach, around the corner from multiple shops and more than capable of housing all of use comfortably. There was plenty of parking for all 4 of our cars in the house and along the road which its on, and it also had plenty of balcony space for everyone to enjoy. The house had every cooking item under the sun, along with washing powder and dishwashing tablets which made life alot easier! Although we had a great time we did manage to cause some minor damage to the property, but after a few short emails with Paula and Micheal they let us know that they had fixed it themselves and only taken a small portion of the bond which was a relief to hear, knowing they were kind enough to only take what they needed. Overall its everything you could ask for and you wont have any troubles with the house or the owners. would go back in a heartbeat. Location was terrific for all activity in the area. Beds were very comfortable and kitchen had everything you needed. Property was close to beaches and shops, so could easily walk to all. Unit was good with plenty of room, maybe some of the fittings could be updated.